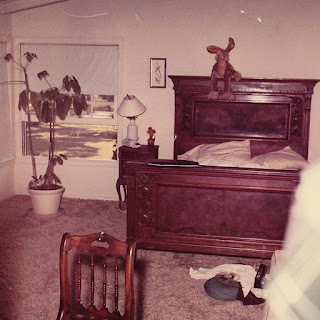 The bed that was in the guest room and used by Gibby and Voytek who were housesitting while Sharon and Roman were in Europe is scheduled to be auctioned in February at Ole Hound Auction House in Social Circle, Georgia. Apparently the bed was Altobelli's because there is a bill of sale signed by him that comes with it. The bed was sold to a single party along with other items in 1996. If you look through the pictures in Bug's book there is an image of it with the caption saying it is the bed that Gibby was lying on, reading, when Susan Atkins came into the room. The bed in the guest room at 10050 Cielo Dr. Check out the AUCTION listing. The auction house's Facebook page if you have any questions. Thanks cielodrive, good color picture of the room with the bed. "Charles Manson is back in Corcoran State Prison, and we're told he might not survive his health crisis. TMZ broke the story ... Manson was taken to a Bakersfield hospital a week ago for significant intestinal bleeding. Doctors wanted to perform surgery, but Manson refused. Late last week he had a change of heart, but doctors determined he was so weak he might die on the operating table. The surgeons went back and forth, planning the surgery again ... but ultimately cancelled it. We're told there was nothing more the hospital could do, so Manson was taken back to Corcoran -- largely for security reasons. 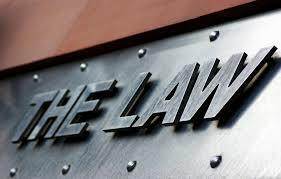 As for the 82-year-old prisoner's condition, one source familiar with the situation said, "He's not good. His health is failing." Here we go again... but I gotta work this week lol. They are going to have online bidding, but the shipping is going to be astronomical on top of whatever it ends at. "Here we go again... but I gotta work this week lol." But you're our best reporter! TMZ is all about sensationalism. They don't care whether they get the story right or not. They didn't even bother to correct the false story that they put out on Saturday. They left it up all weekend, even though it was clear that Manson was back in prison when they reported that he was still in the hospital awaiting surgery. And many other news organizations picked up the false story and ran with it, just like they're doing with this one today. What happened with Kanarek's $500,000 briefcases? Did Dreath buy them? Ziggy said: "Did Dreath buy them?" I don't think that's The Real Dreath. He didn't say the murder case that he's investigating. Charles Manson is closing in on death’s door, a source familiar with the matter told The Post on Monday. “I don’t think he’ll be around too much longer, but he is able to talk in his current condition,” the California Corrections Department source said, referring to the infamous cult leader’s health crisis. Maybe that's the phone calls MM spoke of. Maybe I was also right that there was nothing else they could do for him at Hospital and security is better in clink Hospice. Check out Radar Online. Their source is a moron. Does he/she even know what the meaning of the word "stabilize" is? 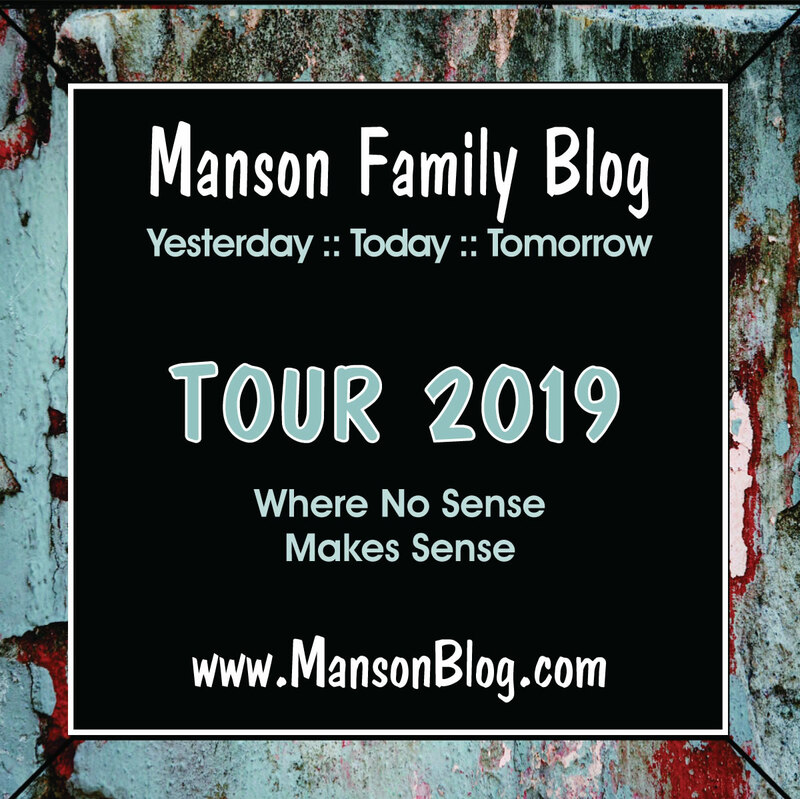 Matthew Roberts was the source of their last story on Manson - he did an interview/photo shoot with them at his place last Tuesday as the story was breaking. It was published Wednesday morning. "Said the source, “It seems there isn’t much doctors could do for him,” despite reports that the 82-year-old was set to undergo intestinal surgery. Panamint Patty said... "No thank you on that haunted bad juju bed"
If Charles Manson were to die today it might be his Karmic joke on Richard Nixon's birthday! And dying in two days as predicted by Penny Lane on 1/11 could mean Charlie is telling the world to believe 111. Mario, if you're reading this I would like to believe the great story you told about the construction site and the Lamplighter is true. I would never write off your claim out of hand. I didn't mean to imply that you were supposed to entertain me, but simply that stories do entertain me, whether they are true or not. There is so much myth which builds up around famous people in history along with the true stories. I can say one thing I love on this site is when a new story about the Manson 'family' comes out of the woodwork as I like to get slices of life about these people that I won't find in mainstream reporting and books. You guys are to funny with that nut job. "A bed frame from Sharon Tate's home -- where one of Charles Manson's famous victims slept -- is up for auction ... if you're into that sorta thing. The now almost 50-year-old wooden frame belonged to Abigail Folger ... the coffee heiress who lived with Tate. She was lying in the bed moments before she was chased out of the room at knifepoint by one of Manson's followers, and stabbed 28 times. 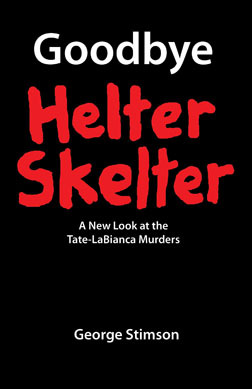 Crime scene pics of the bed are featured in the book, 'Helter Skelter' -- and Ole Hound Auction House expects it to fetch at least $10k. An Ole Hound spokesperson says there's still blood spatter on the footboard, which can be seen under black light. And there's this morbid thought -- we're told the frame's price could jump up significantly if Manson dies before February 10 ... the day it hits the auction block." TMZ updated the bed story and removed the part about the blood on footboard. Where are the posters that are close to Manson? I'm sure they can clarify Charlie's health situation. Does anybody remember the racehorse Barbaros? That's the last time I remember reading so many updates about a potential death. In the last days of that horse farted it was scrolling on TV screens. Charlie phoned Ben Gurecki the day after he got back from the hospital in Bakersfield. Ben put up a YouTube of the conversation yesterday. Charlie doesn't sound half bad, sounds as strong as an 82 year old man who just went through a health crisis can sound. Maybe someone can make this into a direct link, I'm a tech-tard. Radar online is reporting he is critical and on his deathbed someone told me but I'm in office today doing training meetings so I can't check or copy paste. I'm not a sicko (really I'm not), but I think owning that bed would be cool for a reasonable price. Too bad the stuffed rabbit doesn't come with it. Currently five bids on it. Price is $1,050 right now. The actual estimate is $5,000. Which I think is accurate. The auction house is supposed to text me a shipping quote. However, it's going to be astronomical.